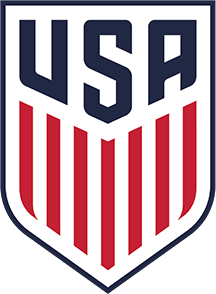 The U.S. Soccer Foundation is a leader in sports-based youth development and is using soccer as a vehicle for social change among urban youth. We provide nationally recognized programs that are proven to deliver positive health and social outcomes. Our innovative, accessible and affordable initiatives offer safe, urban environments in which both boys and girls thrive. Ensuring student success is everyone's job: schools, parents, communities. Communities In Schools is the nation's largest dropout prevention organization. In over 200 communities across 27 states, we work closely with schools, social services, businesses and volunteers to get young people the things they need to learn and grow: after-school help and family services to stabilize the home. Without these basic supports, kids in need or at-risk are far less likely to succeed and grow into productive adults. Communities in Schools Auburn is our local Auburn partner, supporting Soccer for Success in Washington Elementary School, Terminal Park Elementary School, Gildo Rey Elementary School and Alpac Elementary School. Auburn School District provides quality educational programs to all students by professionally trained, highly educated staff. The district and the communities it serves work together to ensure the continuation of these high standards of service. The district encompasses a 62-mile area bridging King and Pierce counties, and serves approximately 70,500 residents in Auburn, Algona, Pacific, Lake Tapps and unincorporated areas of King County. Community Schools Collaboration (CSC) was established as a public/private partnership in Tukwila, Washington in 1998. Our objective was to provide a safe place afterschool for students in the Tukwila School District to receive academic support and enrichment. Community Schools Collaboration exists to provide children and youth with opportunities to succeed in school, to develop high aspirations, and to create a better world. Community Schools Collaboration is our local Tukwila/Highline partner, supporting Soccer for Success in Madrona Elementary School, Bow Lake Elementary School, Southern Heights Elementary School, and Parkside Elementary School. Highline Public Schools serves approximately 18,000 students in grades Kindergarten through twelve in the communities of Burien, Des Moines, Normandy Park, SeaTac, Boulevard Park, and White Center in Northwest Washington State. The district has 33 schools, employs nearly 2,000 staff members, and offers a wide variety of educational opportunities from early childhood to college preparation. The American Heart Association’s mission is to build healthier lives free of cardiovascular diseases and stroke. Our health impact vision for 2020 includes the important goal to improve the cardiovascular health of all Americans by 20%. To do this we must have an extraordinary impact on families’ health by empowering everyone to save lives, live healthier and enjoy more peace of mind about cardiovascular health. Tackling childhood obesity through increasing physical activity and improving nutrition are essential to accomplishing this goal. Our partnership brings the trusted health resources of the American Heart Association to the Soccer for Success program. TEKK is the official goal supplier of Washington Youth Soccer and presenting sponsor of the Elite Player Development (EPD) program. As part of the partnership, TEKK will also supply goals for Washington Youth Soccer outreach programs TOPSoccer and Soccer for Success.